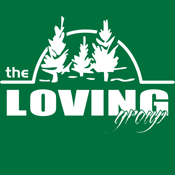 The Loving Group is an iPhone application that provides a secure portal for homebuilders and their field personnel to submit new requests to The Loving Group, a North Carolina based landscape contractor. Users are able to login and see a list of their communities and submit a job request based on a particular lot number. Users can also upload images and view their last 25 submitted requests. The application integrates real-time with The Loving Group’s back-end ticketing system Cloudscape, built and maintained by Nexcom.